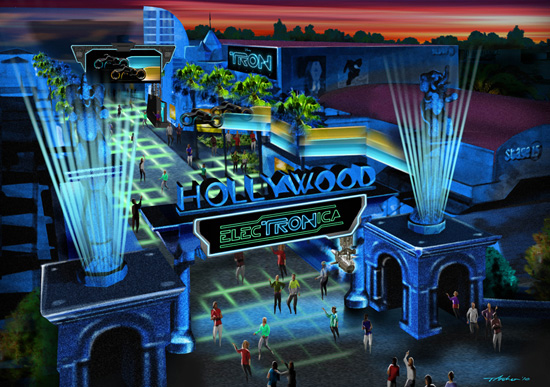 If you haven’t heard, Disneyland is transforming the Hollywood Pictures backlot into a Tron-inspired theme part called ElecTRONica. 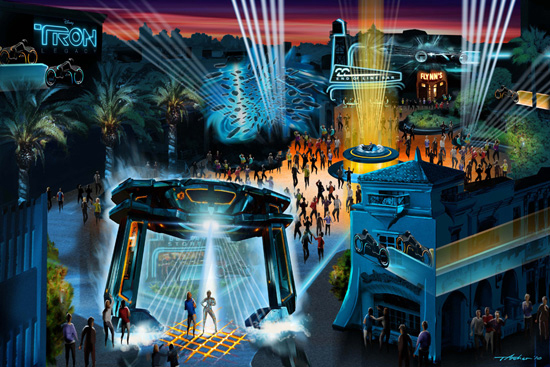 It will apparently be an outdoor dance park. With lots of neon and no ecstasy. Unless you bring your own. The concept art looks kind of like The Sims. Which reminds me that I need to pre-order my copy of The Sims 3 for PS3. brb.